Should I Have Taxes Withheld From My Bonus Check? What Are SDI Withholdings on a Paystub? A bonus from your employer makes you feel like your hard work is appreciated. You might worry, however, about the tax implications. 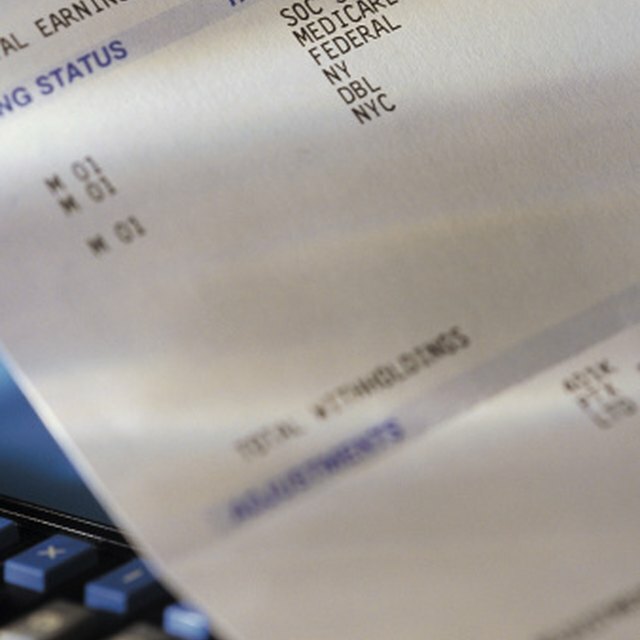 Bonuses are regarded as supplemental wages because they aren’t regular wages. But, like regular wages, your bonus is taxable. If your employer is willing to pay the taxes for you, your problem is solved. Otherwise, your employer withholds at the required supplemental rate. The Federal Insurance Contributions Act gives employers the right to withhold Social Security and Medicare taxes from their employees’ wages, including bonuses. As of 2012, 4.2 percent comes out of your bonus for Social Security tax and 1.45 percent comes out for Medicare tax. Social Security tax has an annual wage base of $110,100, as of 2012. If you’ve already met the wage limit through your regular wages, your employer shouldn’t take any Social Security tax out of your bonus. Medicare tax is different. It comes out of all wages you receive for the year. If your state says employees must pay state income tax, your bonus is taxable as well. The state has its own tax requirement for supplemental wages. For example, California wants 10.23 percent, Ohio takes 3.5 percent, and New Jersey uses the aggregate method. If the local government says employees must pay city or county tax, your bonus would be taxed at whatever rate the municipality says. For example, the city of Yonkers allows the aggregate method if your bonus was paid with your regular paycheck. Otherwise, as of 2012, your employer takes 1.443 percent if you’re a resident of Yonkers and 0.50 percent if you’re a nonresident. Another possible withholding is state disability insurance. Let’s say you’re employed in California. As of 2012, SDI would come out of your bonus at 1 percent for the first $95,585 you earn for the year. If you’ve already reached the annual wage limit, state disability insurance would not come of your bonus. If your employer pays all the taxes for you, it does what is called a “gross-up.” Although the taxes show on your pay stub, you get the full bonus amount.